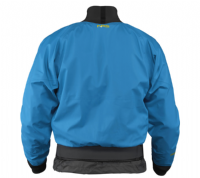 The NRS Stampede jacket is a great semi dry top, why semi dry? 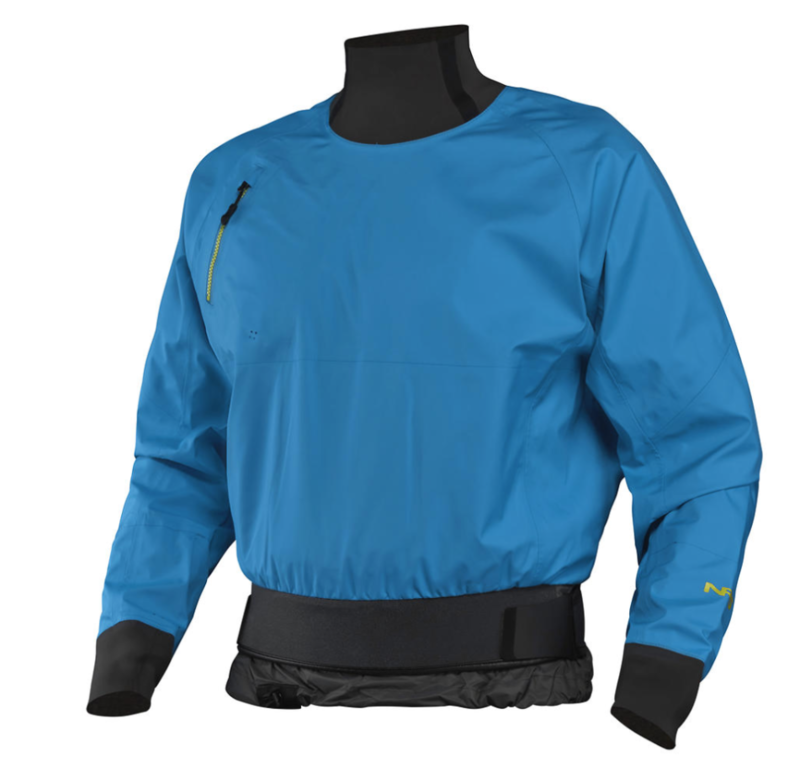 The Stampede has a latex wrist seals and a great double waist to keep you dry but only has a Glide Skin neoprene neck. This isn't as dry as a latex neck but it is much easier to put on and take off and, many say more comfortable! This top is perfect for someone starting to paddle white-water and is revered by freestyle paddlers for its cut and feel. The big diffrence between this and other Semi dry tops is the 4 layer material the cag is constructed from, Its really good and dry! 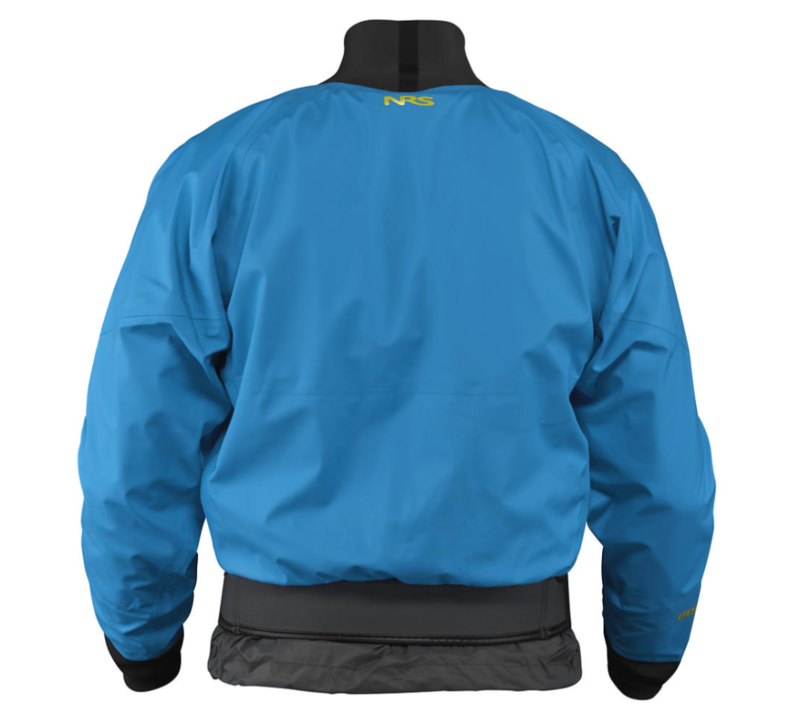 With its easy-to-wear GlideSkin™neoprene neck gasket and lightweight, breathable 4-layer Eclipse™ waterproof fabric, the NRS Stampede Jacket gives you the perfect balance between comfort and protection in a paddling top. Now in bomber. The supple polyester micro-fiber shell allows frictionless paddling with superior resistance to puncture and abrasion. Coated nylon inner skirt and 8 cm double-pull waist mate with your spray deck to keep you and your kayak's cockpit dry. Convenient splash-proof, zippered shoulder pocket keeps necessities close at hand.